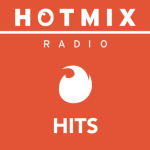 Hotmixradio Hits: a Pop radio. Listen, every hour, over 58 minutes of new hits and no ads! Posted in Pop. Tagged with Hits, Mix, Pop.